With this test, we’re going to try a version similar to the last one, but we’ve removed some of its drawbacks. 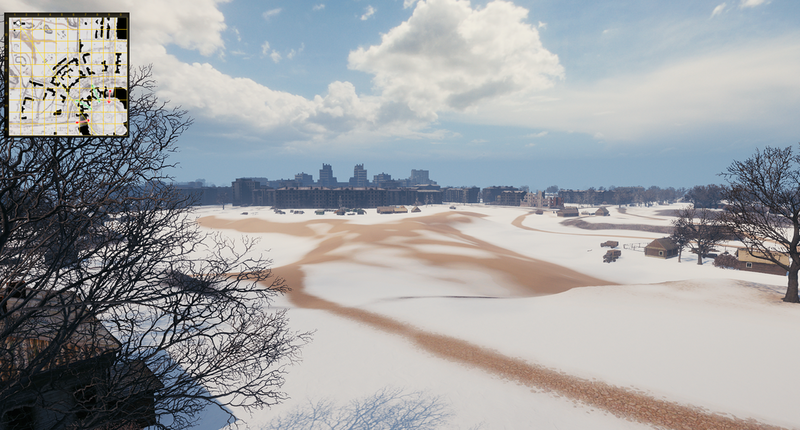 We plan to get rid of super-fast battles, to give every class a chance to shine, and to increase the playability of the open space by making it more suitable for mobile light and medium tanks. 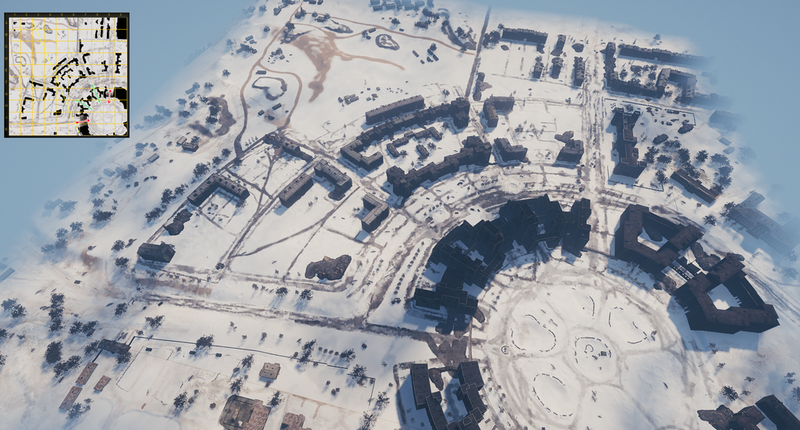 So, what does the new version of the map look like? Well, I’ve got you covered! The central square now has fewer entrances and even fewer exits. There’s a couple of two-way passages (marked in green on the minimap below) as well as two one-way access points (marked in red; you can only drive in through these, not out). 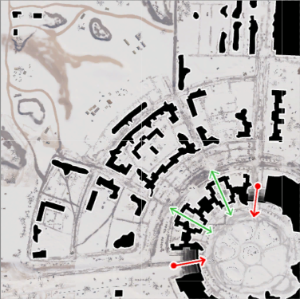 It’s now much easier to control the square’s exits, and we believe this should decrease the amount of unexpected flanking and breakthroughs behind the lines (even if one of the teams has completely ignored this corner of the map). The central city blocks haven’t changed. 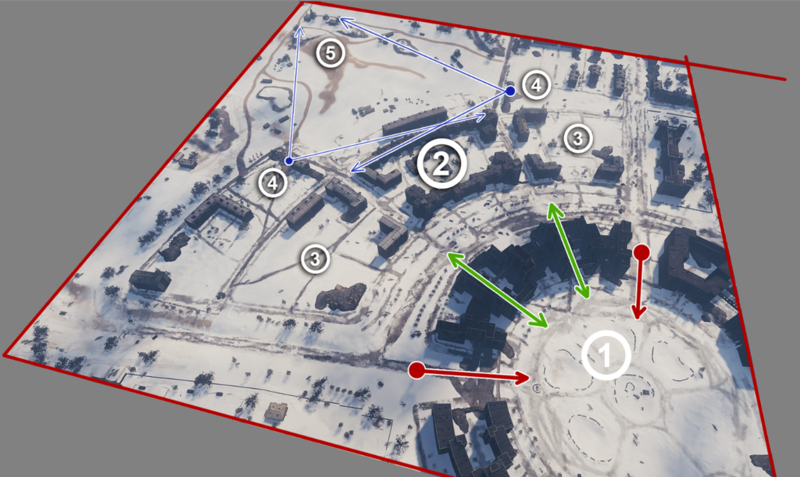 This particular part of the map is what creates Kharkov’s signature gameplay: close quarters combat that can unfold in a myriad of ways. 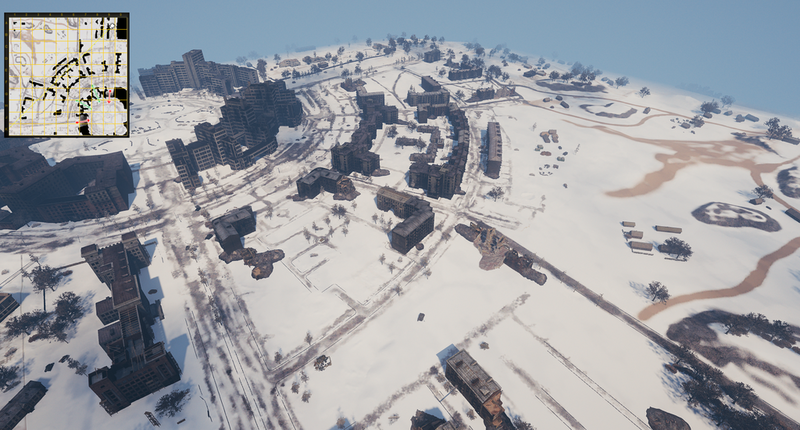 Also, we’ll try to keep the central city blocks as they were on the previous release version of the map. 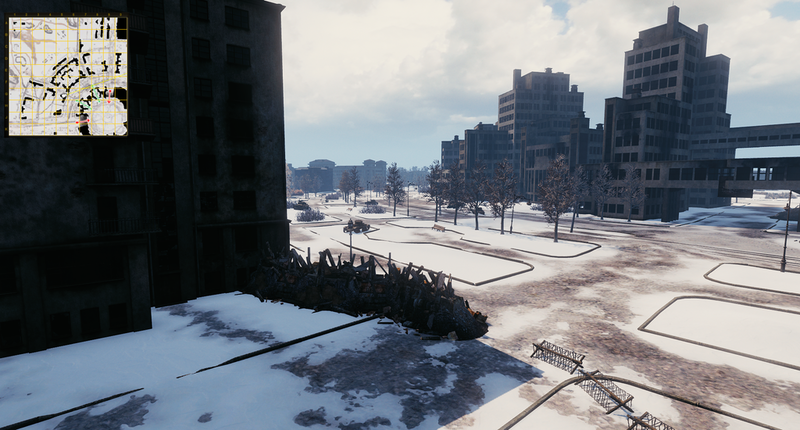 The city blocks near the bases have lost many of buildings and piles of rubble. We thought they were making this zone too much like a maze as well as impeding tank movement. Due to this, we decided that they needed a change or two. 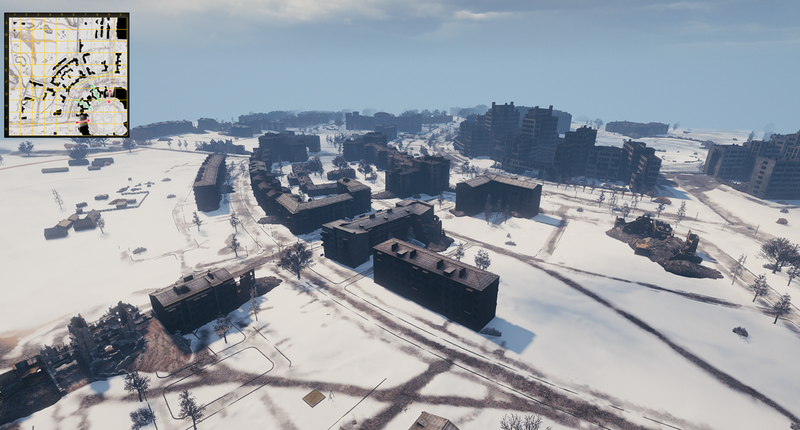 The outskirts of the city have received several covered positions on each side, allowing players to light up the open part of the map for their team. From here you’ll also be able to support your friendlies engaged in city warfare. 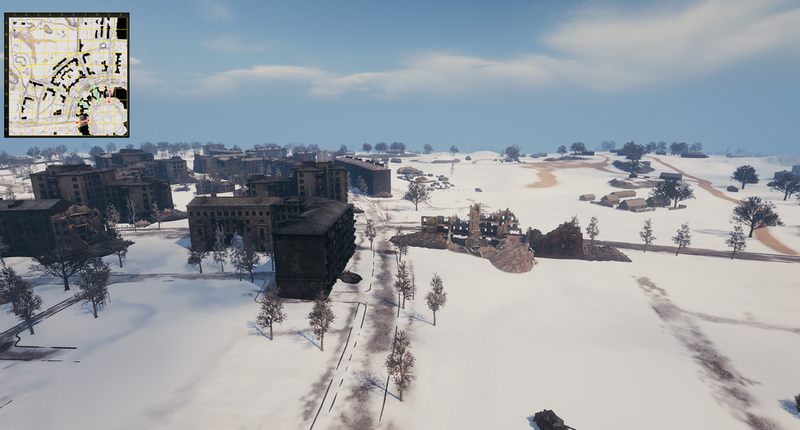 The open part of the map now offers more cover and more important positions. 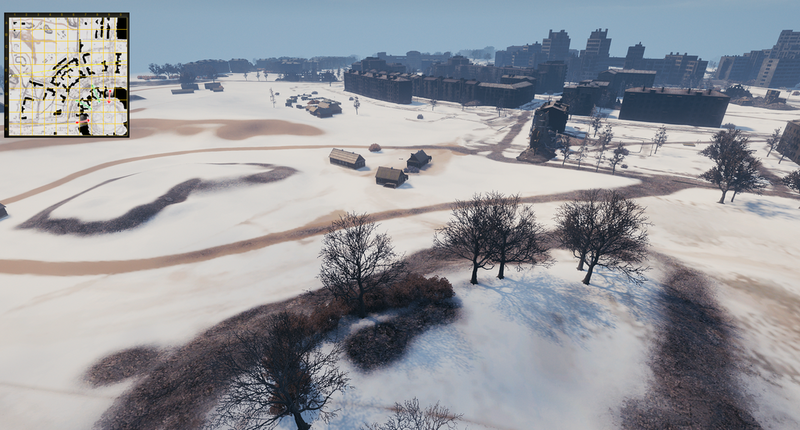 The changes made should help light tanks and mobile mediums to use this zone for flanking moves or for speeding into the enemy base. 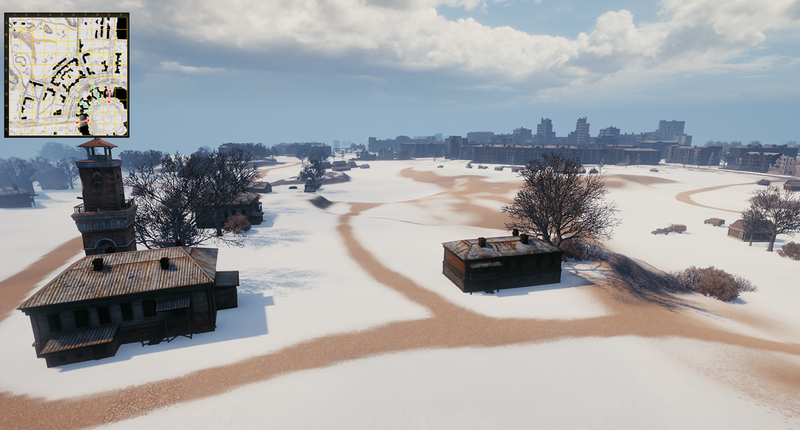 We’ve also added some bushes that you may want to use for spotting or firing positions. Although, they are rather risky positions because the enemy team is going to be fairly close to you here. 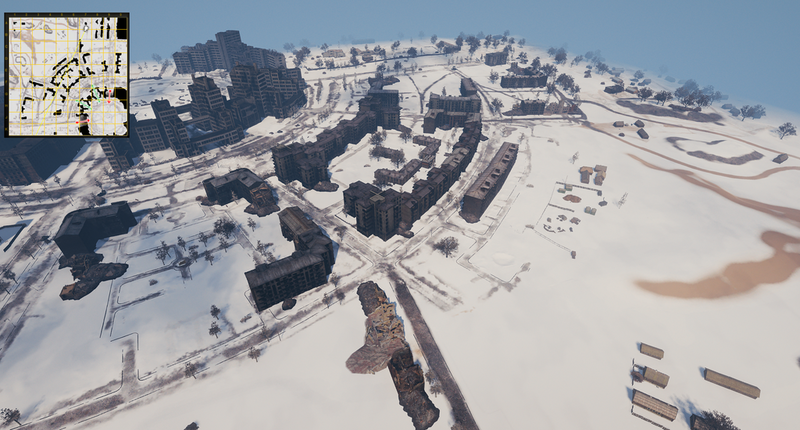 Screenshots Depending on test results we’ll decide on which revision of Kharkov is the best. Let us know what you think! Be sure to follow the news, and best of luck in battle!